It’s been a while since I took photos of anything worth while. I’m glad these turned out OK. Taken with Nikon D90, Sigma 70-300mm. My fingers are very numb still, from standing outside for about an hour. Tonight I found out how fast the Moon moves. Shots that were longer than 4 second exposure were blurred. Wow! Beautiful pictures! 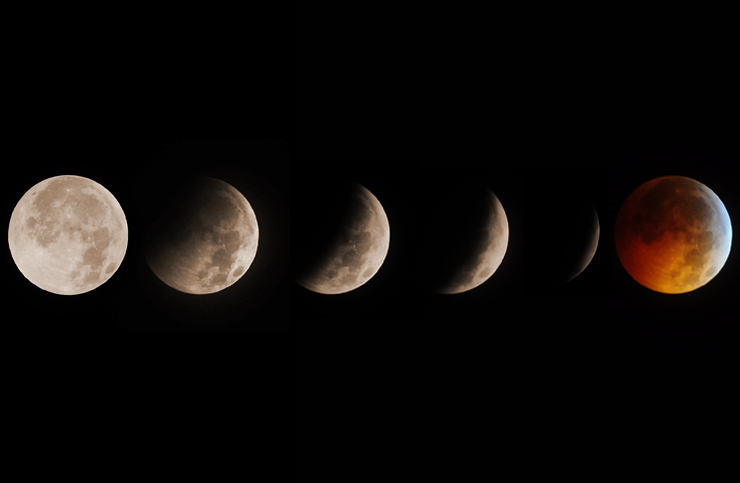 I enjoyed the lunar eclipse also for about an hour and took pictures with my Olympus E510 Olympus 40-150mm…yours are amazing! Thanks for sharing! Nice work! I love how you’ve put them all together in a nice little sequence. In my part of the world the moon just rose then and I didn’t see it or get any photos which is sad but I feel better now that I’ve seen yours. Thanks! Great shots. Which aperture and shutter speed did you use? Wow, this looks incredibly beautiful!